Kernel smoothing refers to a general methodology for recovery of underlying structure in data sets. The basic pinciple is that local averaging or smoothing is performed with respect to a kernel function. The main purpose of this book is to provide the unitiated reader with a feeling for the principles,applications and analysis of kernel smoothers. This is facilitated by concentrating on the simplest settings, namely density estimation and nonparametric regression. Special attention is also given to the important problem of choosing the smoothing parameter of a kernel smoother. The multivariate case is also treated in detail. The simplicity of kernel smoothers means that the main ideas can be covered a relatively low technical level. The book is self contained and assumes only a basic knowledge of statistics, calculus and matrix algebra. Exercises are provided at the end of each chapter. Overall Kernel Smoothing is both an invaluable introduction to the main ideas of kernel estimation for students and researchers from other disciplines and a compehensive reference for those familiar with the topic. "...an excellent starting point for those who would like an introduction on how these estimators can be constructed and understanding their properties." - Adrian Bowman, Biometrics, (1999). 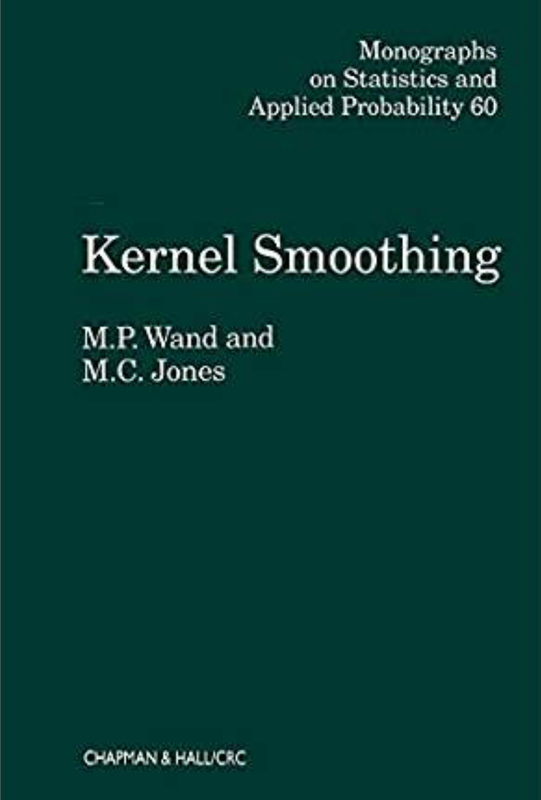 "This book is an excellent introduction to Kernel Smoothing. It's easy to follow and I strongly recommend it." - Anshu Gupta, Customer reviews, Amazon.com, (1999). "Don't know a thing about kernel smoothing? No problem! This book brilliantly explains the idea of kernel smoothing using English!" - Anonymous customer, Customer reviews, Amazon.com, (1999).